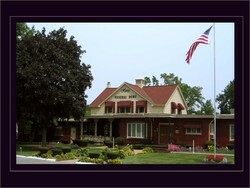 To send flowers to Humes Funeral Home - Addison please visit our sympathy store. Published online on Apr 18, 2019 courtesy of Humes Funeral Home - Addison. Published online on Apr 05, 2019 courtesy of Humes Funeral Home - Addison. JAMES W. "JIM" LOMBARDO Sr. Published online on Feb 11, 2019 courtesy of Humes Funeral Home - Addison. Pre-planning means making arrangements for a funeral someday in the future. What Funeral Benefits Am I Eligible For?